Researchers have painted a picture of horse health management practices in Australia after conducting an online survey. Kirrilly Thompson, Larissa Clarkson, Christopher Riley and Mariette van den Berg, writing in the Journal of Applied Animal Science Welfare, said while many of their findings were encouraging, there were some areas of potential concern. These were identified after assessing the survey responses of 505 horse guardians from across the country against the 2011 Australian Horse Welfare Protocol, developed to provide minimum standards and guidelines for the management and preventive health care of horses. Analysis revealed that 4% of respondents did not regularly deworm their horses and 3.1% lacked a parasite control strategy. Overall, most participants reported standard deworming practices now considered outdated. A lack of regular dental care was found in 11% of cases. For hoof care, they found that 41% of respondents provided hoof care at least every six weeks, and 32% provided it every six weeks to eight weeks. Some had their horses’ feet attended to more regularly: every three weeks to four weeks (14%), or every one to two weeks (3.5%). Four percent were only checked every two to five months, and 5% were checked “when the horse appeared to need it”. One percent of participants had their horse’s feet checked only annually, rarely, every six months, or when the farrier came to the district. Two percent of participants did not provide regular hoof care. Eighty percent of owners paid someone for hoof care services and 18% trimmed or shod their own horses. The rest had an unpaid person shoe or trim their horses’ feet. It was found that 14% had an unqualified person maintain their horse’s hooves. 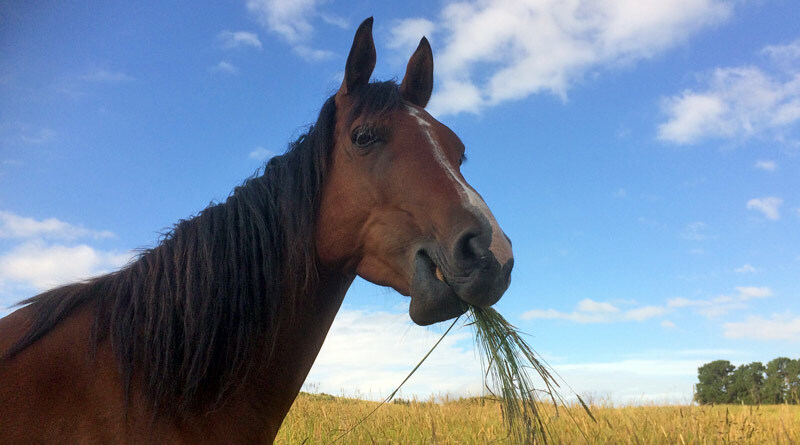 One in five owners did not vaccinate their horses against tetanus. Around 7% of participants reported not checking their survey horse daily. Thompson and her colleagues said they identified no large-scale welfare issues. The study team noted that almost one in four horses in the survey were Thoroughbred, which is close to the level observed in an Australian Pony Club horse population study from 2016. Turning to identification, almost one in five participants reported that their horse had no permanent objective identifier, such as a brand. Many horses were subject to multiple painful or invasive procedures to enable identification, such as a brand and microchip. There was, they noted, no national identification standard applied across all breeds. Freeze-branding: A key means of identification. The researchers said consideration should be given to compulsory national registration for all equines in Australia. They noted that scientific understanding of horse health and welfare was being constantly improved, and standards and indicators were under constant review, particularly relating to parasite control. Recent research has suggested that most Australian horse owners preferred to receive information electronically via email, although whether this preference translated to increased engagement or adoption had yet to be determined. “To align public practice with these updated sources of information, effective extension strategies need to be developed. Thompson is with the Appleton Institute for Behavioural Science at Central Queensland University, Clarkson with the School of Psychological Science in Melbourne, Riley with the veterinary school at New Zealand’s Massey University, and van den Berg with MB Equine Services in Armidale, New South Wales.